At Nanda & Associate Lawyers, we assist individuals in Brampton, Mississauga & Toronto with all of their family law needs. Trust our experienced family law team to resolve all aspects of a divorce – simple or complex. These issues may involve dealing with the intricacies of the division of marital property and equalization, child custody and access, a practical and tailored parenting plan in place for your children upon separation, your entitlement to support and/or obligation to provide support for your children or your spouse, as well as alleviating the emotional and financial stresses you may be experiencing due to the breakdown of your marriage. At Nanda & Associate Lawyers, our focus is you: as a client, as a parent, and as an individual with objectives and responsibilities. We are here to help you navigate the family law system in a professional, timely and cost-effective manner, so that you can leave behind what has happened and focus on what is next. Our family law associates are highly regarded by past and current clients, members of the profession, court officials, and colleagues alike. Trust the Family Law Team at Nanda & Associates to look after your family law needs! Our goal is to understand your complex emotional and financial needs in order to better assist you in making informed legal decisions about your future. We ensure that changes in family law are readily and promptly integrated into our everyday practice, so that you can benefit from current and reliable information. At Nanda & Associate Lawyers, our principal objective is to promote and exceed client satisfaction. We take pride in being easily accessible to our clients and committed to their needs throughout their family law case. After decades of experience and accumulated knowledge, we understand what it takes to support you at your most difficult time. Trust our family to help yours! Seeking legal advice for a divorce, child custody or more? Are you thinking of obtaining a divorce from your spouse? 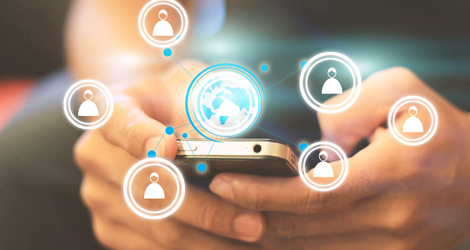 Are you aware of the legal consequences of doing so? What about your rights and obligations moving forward? This article explores some common misconceptions when it comes to divorce proceedings. Myth #1: He/She cheated on me; he/she is to blame for the divorce. You can get a divorce from your spouse, whether or not he/she was unfaithful to you – once, twice or numerous times during the marriage. The courts do not accord any special treatment to the “cheated victim” in no-fault divorce cases. This means that the judge will grant the divorce Order so long as one of the grounds for divorce is met by the Applicant spouse. Myth #2: It was a short marriage; how can he/she possibly expect anything? Upon divorce, entitlement to financial support or equalization of property by one married spouse against the other can be established even in marriages of short duration. There is no set standard; a judge will take into consideration all the circumstances of a particular case – i.e. intention of the parties, property accumulated from marriage to separation, contributions by the parties (jointly and separately), arrangements for the parties’ children of the marriage (where applicable), changes in career or other circumstances affecting one spouse’s earning potential vis-à-vis the other, etc. Myth 3#: He/she refuses to grant me a divorce. I can never get married again. While one spouse may get away with delaying divorce proceedings for a while, especially if the matter is being argued at court, or it involves children of the marriage and division or sale of marital property, there is no question that a divorce will nevertheless be granted. Both parties do not have to agree… So long as one spouse meets one of the legal grounds for obtaining a divorce, he/she will be able to do so and be free to re-marry once the divorce Order from the previous spouse has taken effect. Myth #4: I had all of this prior to marrying you, so you get none of it when we separate. Wrong. While pre-marriage value of property, valuables, investments and other items may be excluded, it does not mean that the increase or appreciation in value over the course of the marriage does not matter. This increase may be considered at separation, just as debts and liabilities can also make a difference when dividing property. A judge may also consider what happened during the marriage itself: who contributed to what, who was responsible for maintaining the property, who took care of or raised the children of the marriage, etc. Myth #5 (related to #4 above): I own it so I get to keep it. Again, not necessarily. While one party may be solely on title to property or may be sole owner does not mean that the other spouse gets nothing in return at separation. This is especially so when we are dealing with the matrimonial home, or the primary residence of the family during the marriage. Marriage is considered a partnership with each spouse making contributions towards it. These contributions may be financial or monetary in nature – i.e. covering household expenses and carrying costs, or more personal in nature – i.e. maintaining the home and making improvements to the home, cooking & cleaning, raising a family, etc. Another example is a vehicle, which may be solely owned by the highest income earner of the family, but used exclusively by his/her partner to transport the children to and from school, to take them to extra-curricular activities, etc. A judge may not necessarily grant the owner possession of the item at separation right away, if it means that their spouse and children are left with no mode of transportation… The facts matter and so do the numbers! Myth #6: If I move out of the home, I lose it; or I lose my kids. You do not lose any and all entitlement to the equity of the matrimonial home if you vacate it at separation. This is also the case whether you are on title to the property as a married spouse, or not. A spouse will also not be forced to remain in the family home where there are incidents of abuse or domestic violence. In custody and access matters related to the children of the marriage, a judge will consider all circumstances that affect what is in the children’s best interests, including the spouse’s need to move out of the home and rent elsewhere. Myth #7: I don’t need to change my Will if I get married or divorced. If you already have a Will in place about how your estate is to be divided upon your passing and / or who gets to benefit from it, then you need to know that the document becomes null and void automatically upon marriage to your spouse. However, the same does not happen upon divorce. This is why it is crucial that you have a new Will drafted in order to avoid the risk of leaving much of your estate behind to benefit a divorced spouse, instead of your children, grandchildren and other relatives & loved ones. 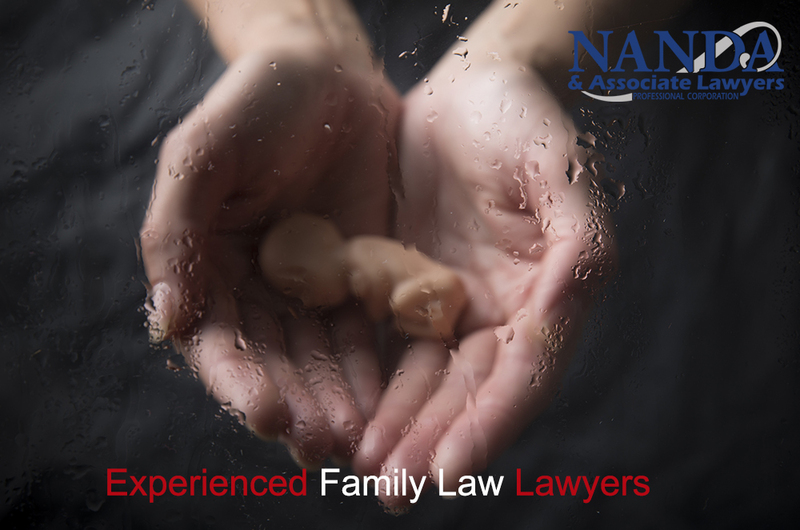 For further details and information regarding your specific circumstances, please contact the experienced family law lawyers at Nanda & Associate Lawyers P.C. today! To discuss your family law related case, contact Nanda Associates today at 905-405-0199 or email us at info@nanda.ca.